Ocala Eye was recently featured in Ophthalmic Professional, a nationally recognized publication to help ophthalmic staff deliver high-quality patient care and support the success of ophthalmology practice. Entitled “Providing relief to dry eye patients: The Dry Eye Center at Ocala Eye garners patient appreciation through its knowledgeable approach to care,” the article breaks down what sets Ocala Eye’s Dry Eye Center apart from the rest, including its patient-centered, holistic and conservative dry eye management philosophy. 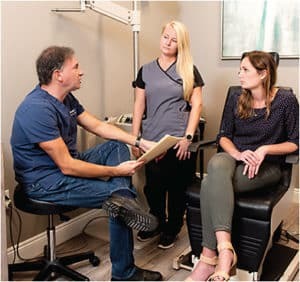 Under the guidance of Peter J. Polack, M.D., F.A.C.S., Dry Eye Center at Ocala Eye has built its reputation on caring for patients who have long suffered from dry eye disease (DED), and for a significant number of them, the Center is the third or fourth place they’ve visited for their condition.